Four years on and the quest for a 6lb Eel continues. I have had a number of Eels from my local lakes to just under 6lb but I have never managed to surpass the magical 6lb barrier. Eels as a species are one of the most interesting fish that swim our waters and they are not given enough respect in the angling community. I make this statement based conversations with other anglers and the responses I get when I say that I’m fishing for Eels. 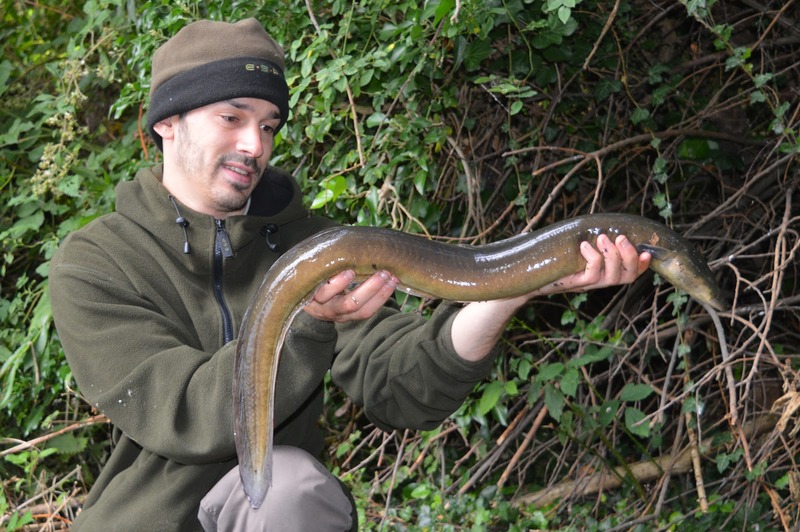 Yuk, Urrrr & “why the heck are you fishing for Eels” are the most common which is a great shame as the Eel is one of the most impressive fish that live in our waterways. 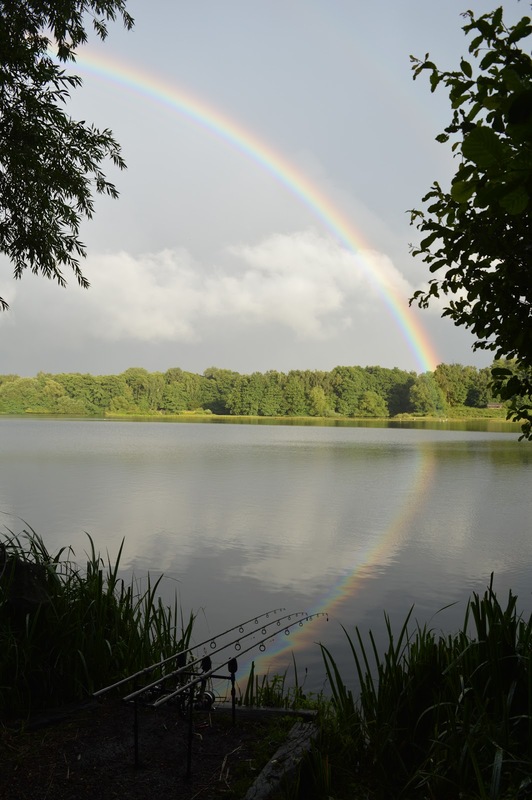 As I write this I have fished around eight nights on 90 acre sand pit in search of the elusive six pounder and have caught only and handful of Eels with the biggest going 3lb 8oz. During this time on the water I have changed my rig and set up regularly to refine my approach and put more Eels on the bank and most importantly put more Eels on the bank hooked in the lip. 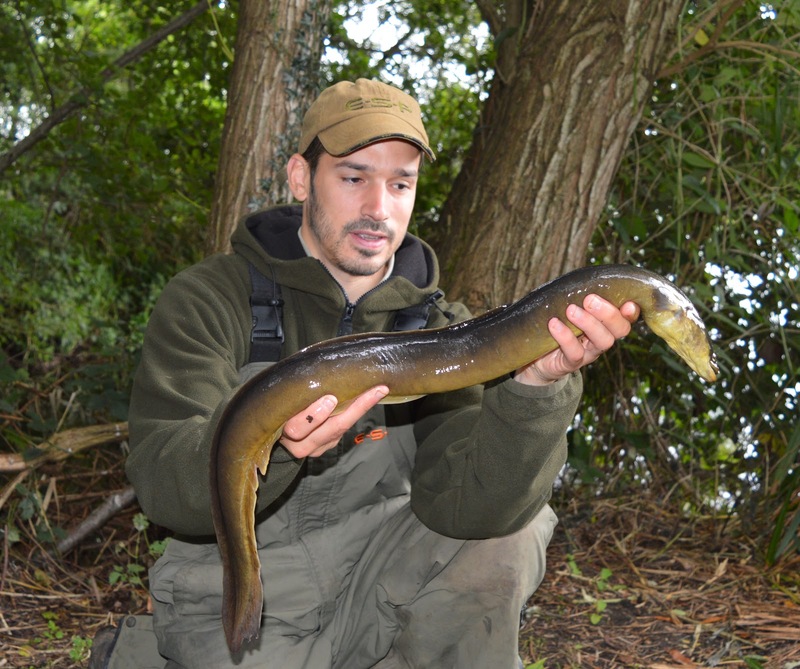 As we all know deep hooking an Eel can be dangerous for the fish as its vital organs are high up in its body so it is imperative that you use the correct tackle when fishing for theses delicate creatures. To really dive into my Eel campaign I read a couple of books and articles to try and pick up any information that could give me an advantage and one article in particular by Mark Salt in the Osprey Specimen Group book really changed the way I fish for Eels. I would recommend to anyone that wishes to fish for Eels or any species of fish to read about the species and understand your quarry in depth. My set up used to consist of long hook links and large hooks but now I tend to use short hook links of around five inches and smaller hooks. The reason for this is quite straightforward but hard to explain but I will give it a go. It is necessary that you strike on an Eel bite quickly as possible to ensure the Eel does not swallow the bait and this means that you require instant bite indication. If you have a long hook link of ten inches the slack in that hook link will not allow delicate bites to register where as a small hook link will be in direct contact with the mainline for instant indication. Small barbless hooks are another element of my set up that is increasing my catches. Size 12 longshank hooks seem to be the perfect pattern for hooking lobworms and the Eels. My choice of rig material in usually a 40lb snag leader braid tied to a small swivel followed by a large bead and then an extra large rig ring to minimise resistance. Attached to the rig ring is a snap swivel to which I attached a 2oz lead. I used to use one ounce leads but ironically the lighter the lead the more resistance it can cause. The small lead, if the large ring is in light weed or silt, may actually lift up on a take causing more resistance then say a larger lead that is solid on the bottom of the lake bed allowing line to pull though the large rig ring easily. One of the main problems I have had when Eel fishing is actually netting the fish due to the length of the body it can be extremely difficult to get into a 42 inch carp net. I recently purchased a metal framed 38 inch spoon net and this has made netting an Eel a much easier task. The problem with 42 inch carp nets is that the back of the net which is in tension via the spreader block is not solid and the Eel keeps sliding back into the water because there is no substance in the net frame to apply pressure. I would definitely recommended the largest metal framed net you can find if you wish to Eel fish. I also ensure I have two head torches so that I am never in the position of netting an Eel in complete darkness. I usually leave one near my bed chair and one by the rod bank sticks. This is so that if I forget to grab the first one in the rush and excitement of a take I will always have one to hand by the rods. For sensitive and direct bite indication I feel that nothing is better than a Delkim in conjunction with extremely light bobbins, slack line with the bobbins laying on the ground and the reel bail arm open. You must ensure that the line from line swing is direct to the lead but not under tension. Anyways enough of the technical stuff and back to my actual quest for that six pounder. The lake I’m fishing had no record of Eel captures until I started fishing for them intentionally and I have had some cracking fish to just under six but never managed to get over the 6lb threshold. I am positive there are Eels of over 8lb swimming in the depths but I cannot seem to track them down. To increase my chances of catching a Python I have been moving swims regularly and trying different areas of the lake. This approach has highlighted the areas of the lake most preferred by the Eels. The shallow weedy bays ended in blanks but the deep margins seem to produce fish regularly and although no monsters have yet to make an appearance this seem the best area of the lake to target.